Имате въпрос към OYO 5634 IVY Stays? Whether you're a tourist or traveling on business, OYO 5634 IVY Stays is a great choice for accommodation when visiting Lucknow. From here, guests can make the most of all that the lively city has to offer. With its convenient location, the property offers easy access to the city's must-see destinations. Take advantage of a wealth of unrivaled services and amenities at this Lucknow property. This property offers numerous on-site facilities to satisfy even the most discerning guest. The property's accommodations have been carefully appointed to the highest degree of comfort and convenience. In some of the rooms, guests can find mirror, towels, internet access – wireless, fan, internet access – wireless (complimentary). The property's host of recreational offerings ensures you have plenty to do during your stay. 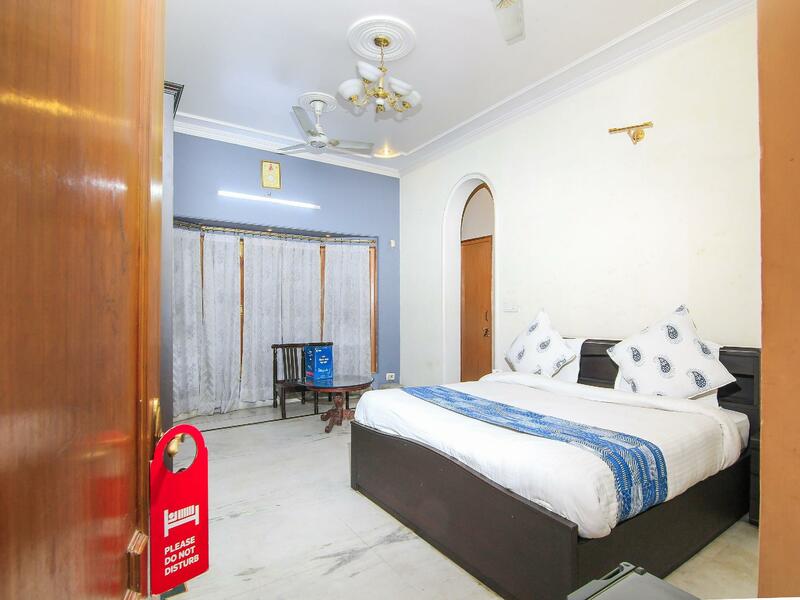 Whatever your purpose of visit, OYO 5634 IVY Stays is an excellent choice for your stay in Lucknow. First two nights the showers were not working, hot water was not working, and there was hardly any water pressure. My room and my business partner's room had multiple roaches. Breakfast took to long to prepare; sometimes up to 30-35 minute wait time. We also had to pay for water bottles. My cable TV was not working either. The staff were nice but the facilities need to be renovated and cleaned. It is a nice place, if you get the right room. Staff is very good and cooperative. The place is well connected. Most importantly, taxi drivers reach without any hassle!